§ 86A-1. Necessity for certificate of registration and shop or school permit. § 86A-2. What constitutes practice of barbering. § 86A-3. Qualifications for certificate as a registered barber. § 86A-4.  State Board of Barber Examiners; appointment and qualifications; term of office; removal. § 86A-5. Powers and duties of the Board. § 86A-6. Office; seal; officers and executive director; funds. § 86A-7. Salary and expenses; employees; audits; annual reports to the Governor. § 86A-8. Application for examinations; payment of fee. § 86A-9. Board to conduct examinations not less than four times each year. § 86A-10. Issuance of certificates of registration. § 86A-12. Applicants licensed in other states. § 86A-13. Barbershop and barber school permits. § 86A-14. Persons exempt from the provisions of this Chapter. § 86A-15. Sanitary rules and regulations; inspections. § 86A-16. Certificates to be displayed. § 86A-17. Renewal or restoration of certificate. § 86A-18. Disqualifications for certificate. § 86A-19. Refusal, revocation or suspension of certificates or permits. § 86A-20.1. Enjoining illegal practices. § 86A-21. Board to keep record of proceedings; data on registrants. § 86A-22. Licensing and regulating barber schools and colleges. § 86A-25. Fees collectible by Board. § 86A-26. Barbering among members of same family. § 86A-27. Civil penalties; disciplinary costs.